Few accessories or pieces of jewelry stand out quite like a necklace of pearls. This makes pearls an amazing gift for a loved one, whether it’s a birthday gift, an anniversary gift, or any other special occasion. What makes pearls so special is that they have a certain flexibility in how they can be worn — they go just as well with an elegant dress or suit as they do with a pair of jeans. But how much do you actually know about pearls and what they are? Traditional pearls are round and white, but there are many different styles, colors, and shapes of pearls available. How they look depends on several different factors, including the type of oyster they’re found in, where those oysters were found, and how clean the water in that area happened to be. 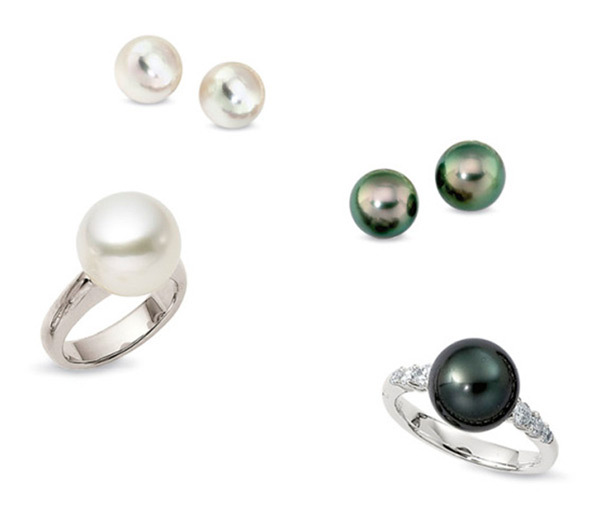 Here at Greenstone’s, we carry Tahitian and South Sea pearls. South sea pearls are known for their size and value. They’re generally found near Australia, the Philippines, and Indonesia, and they take anywhere from two to six years to fully mature. They’re very scarce and range in size from 8mm to 22mm. Their colors vary as well, from silver-blue to soft yellow to pale gold. Tahitian pearls are found in the lagoons and atolls of the South Pacific. They are known for their gorgeous colors, such as green, silver, and dark charcoal. For more information about the pearls we carry, contact Greenstone’s today.